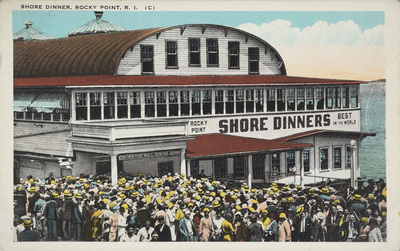 "Shore Dinner, Rocky Point, R.I." by Geo H. Gennawey, Rocky Point, R.I. Shore Dinner, Rocky Point, R.I.
Geo H. Gennawey, Rocky Point, R.I.
Geo H. Gennawey, Rocky Point, R.I., "Shore Dinner, Rocky Point, R.I." (1935). Rhode Island Postcards. 273.